One of the easiest hearth products to install. 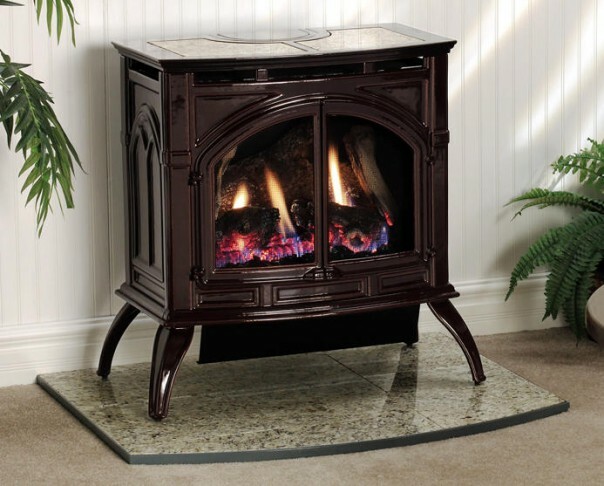 The Heritage Vent Free Stove comes in a small (10,000 BTU's), medium (20,000 BTU's) and large (25,000 BTU's) format. This vent free product will heat your living space in no time. Manual and remote options available, including millivolt and intermittent pilots. Available in natural gas or propane.